I think plugins have had a bit of a stigma attached to them amongst the various WordPress snobs out there. But for the most part I think they are essential in expanding the functionality of WordPress and unless you’re code literate and anything other than a purist, plugins are an essential part of a WordPress site, even pro bloggers use plugins. Help support the plugins you use by making a donation. It keeps the important updates and any future improvements coming. I thought I’d start off with a list of all the plugins I’ve found essential to make WPtricks what it is today. EDD – Easy Digital Downloads – Easily sell digital downloads through WordPress with this easy to use WordPress plugin. Selling digital downloads is something that not a single one of the large WordPress ecommerce plugins has ever gotten really right. This plugin aims to fix that. Instead of focusing on providing every single feature under the sun, Easy Digital Downloads tries to provide only the ones that you really need. It aims to make selling digital downloads through WordPress easy, and complete. For me a complete super plugin, this has everything you’d expect from a premium plugin but for free. As a developer, the hooks that this comes with should set the standard for plugins to come. Contact Form 7 – Just another contact form plugin. Simple but flexible.Contact Form 7 can manage multiple contact forms, plus you can customize the form and the mail contents flexibly with simple markup. The form supports Ajax-powered submitting, CAPTCHA, Akismet spam filtering and so on. With over 10 million downloads, this is without a doubt the best contact form plugin available, easy to use and if you know a little html and CSS you could have your forms looking pixel perfect in no time. Invisible Captcha – Smart invisible captcha for WordPress comments. Visitors of your website don’t need to enter letters and numbers. This small plugin automatically 100% protects your website from spam in comments. I really believe WordPress should have this build in as a standard feature, but alas they fail to do so. Surprisingly this plugin only has 32k downloads, but despite that this plugin has never failed me. I really don’t receive any spam in my comments. I’ve said it before and I’m saying it again. Normally this would be a premium plugin, but again it’s by donation only… Awesome. Executable PHP widget – Like the Text widget, but also allows working PHP code to be inserted. The normal Text widget allows you to insert arbitrary Text and/or HTML code. This allows that too, but also parses any inserted PHP code and executes it. This makes it easier to migrate to a widget-based theme. Because I wanted some flexibility when it came to what I put in my widgetised areas. 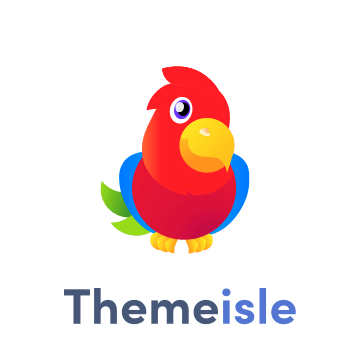 I use this to pull in the My Latest Theme in my sidebar, the social media links and comment button also use the Executable PHP widget. HTML Editor Reloaded – Add custom buttons to the HTML editor toolbar and full tabbing functionality. This plugin allows you to add your own custom buttons to the HTML editor toolbar. For example, to add an H1, H2, H3 button to make adding headers to your content easier. Add as many buttons as you need. I add all my custom shortcodes to the text editor using this. Super easy. Widget Logic – Widget Logic lets you control on which pages widgets appear using WP’s conditional tags. It also adds a ‘widget_content’ filter.This plugin gives every widget an extra control field called “Widget logic” that lets you control the pages that the widget will appear on. The text field lets you use WP’s Conditional Tags, or any general PHP code. A couple of my widgets only need to be displayed when you’re looking at the custom theme pages. So I use this with a conditional tag to display those widgets. WP-Polls – Ads an AJAX pull system to your WordPress blog. You can also easily add a pull into your WordPress’s blog post/page.WP-Polls is extremely customizable via templates and CSS styles and there are tons of options for you to choose to ensure that WP-Polls runs the way you wanted. It now supports multiple selection of answers. Collects information that can improve your site and also a good bit of fun. This makes all my code snippets pretty. In my opinion the best syntax highlighter on the market. Feedburner Email Widget – Allows you to add a Feedburner Email Subscription widget to one of your sidebars.Invaluable little widget, if you’re collecting subscribers, collating email subscribers for a monthly newsletter, Another option would be the costly mail-chimp to collect your email subscribers. Personally this is my preferred choice. Beside these I use a couple of custom plugins for the Genesis Framework the Featured post widget and my custom post-count plugin, to track post views. I think a good alternative for “Contact form 7” plugin will be this HTML form creation service. Already using it on couple my projects, awesome and no need to code something. But it is a premium service with a monthly fee! If you don’t like coding you could just use the Jetpack Plugin for a simple contact form. If you want more than just a contact form then you could also check out Custom Contact Forms which has a no code contact form and a ton of customizable input fields.